An acoustic piano with a volume control, or a digital piano with strings? Yamaha’s transacoustic piano is it’s latest development that stretches the imagination and opens up a whole new world of possibilities when it comes to looking to buy a digital piano with a natural sound. TransAcoustic™ is the name Yamaha have given to this new breed of piano and at its most basic level, it turns the soundboard into a “loudspeaker”. This means that any sound can be delivered through this naturally resonant piano component. As a Piano musician do you want to own something that is groundbreaking when it comes to working with an acoustic piano? 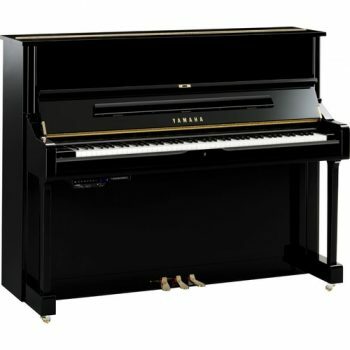 The Yamaha Transacoustic is a hybrid piano with all the benefits you would expect. If you want to find out more visit the piano showrooms in London of Hanna Pianos based in Wimbledon who can help pianists open up to a whole new world of posssibilities. Can you imagine playing a piano where you won’t annoy the neighbours? The Transacoustice has a function where the hammers don’t strike the strings. There are non-contact sensors under each individual key that detects your key stroke and sends information to a tone generator. Just adjust the volume and hear the digital sound of your piano performance coming from the entire Transcoustic piano.